CommuniGator Help SiteGator Product SuiteGatorWorkflow FAQ'sWhy isn't my test email going through the Workflow? Using a test email address in your Workflow is key to ensuring your Workflow runs smoothly and without error. To read about how to properly test your Workflow, please read the following article. If you can't receive test emails or your email address isn't going through the Workflow, then the first thing to check is whether you have put your test email in the right place. 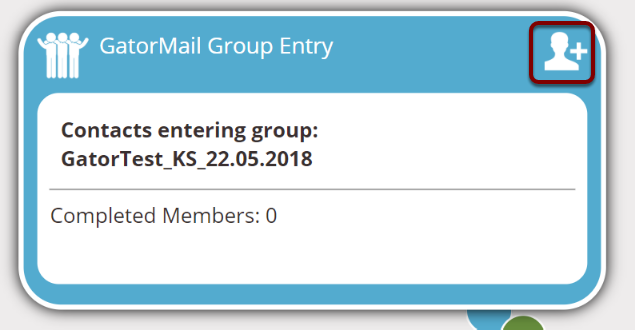 In the 'Testing your Workflow' article we detail the need for placing your test email in two places: the 'Update Details' tab and either in a Live Audience Group, or as a Workflow member in the group entry block. Also make sure you have put your Workflow into Test Mode! If you need any more help, please contact our Support Team on support@communigator.co.uk or on +44 (0)1483 411 911.